In 2017, AEC launched a practical training facility called Hazard House, based at the Manchester training centre. 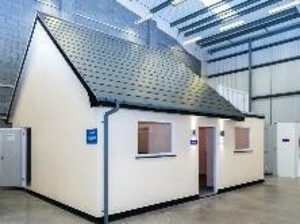 The realistically sized house allows delegates to interact with over 180 mock asbestos installations and Legionella hazards. 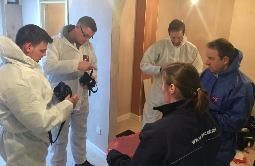 Practical, hands-on training is at the heart of AEC’s training courses and in 2018, Hazard House was recognised with a business award for Innovation by UKATA. AEC are continuing to innovate and provide a world-class training experience to businesses across the UK and Worldwide. 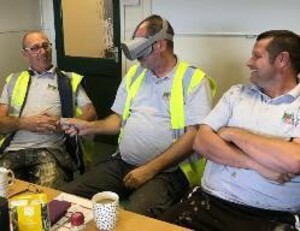 Using the latest virtual technology, students are able to ‘step into hazard house’ at the Rainham training centre and on bespoke courses delivered at client premises. 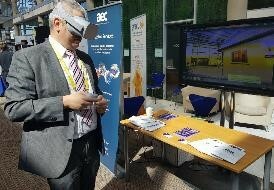 Whilst in a classroom environment, delegates will be able to use the Oculus go headsets individually, or as a group, to explore different types of asbestos and Legionella hazards, in different locations around the house. 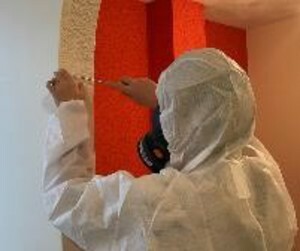 Rather than just looking at photos of asbestos in buildings (which is traditional learning), delegates have 360 degrees view of each learning space, giving them the confidence to be able to identify real life hazards in the workplace. Bob Harris, technical director and head of AEC’s training services, said "We pride ourselves on giving our training delegates a comprehensive, interactive learning experience. Virtual reality software provides us with the ability to address different learning styles. Students have different approaches to how they process information, and we want to increase their academic confidence by offering creative ways of learning." 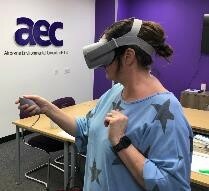 Debbie Clare, commercial director, added: "AEC’s ethos is to not only train people to pass exams, but to prepare delegates for the real world with practical training in realistic environments. Customers who have trialled the new technology have expressed that they are more confident identifying hazards in the workplace after seeing mock hazard’s in situ."